This is a must-read book by someone who is arguably the best conservative Catholic political writer in the United States. 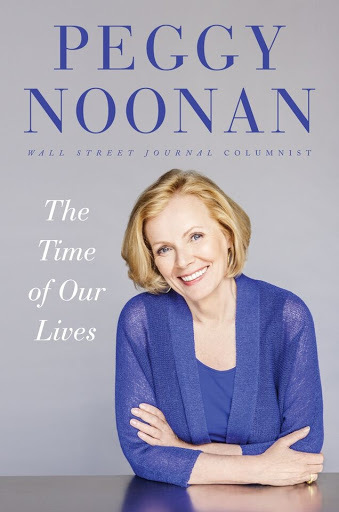 Peggy Noonan, who has authored eight best-selling books, is a keen observer, whose gifted speechwriting earned her the opportunity to watch up close and personal some of the most important people in American politics during some of the most crucial years of our time. This collection of previous writings, a "best of" compilation, with an original introduction that recounts her career in journalism, is full of deftly told anecdotes and well-realized portraits. In it, she speaks and writes about the likes of British Prime Minister Margaret Thatcher, the late journalist Tim Russert and many others well known to the public. And she serves up some great insights on her faith, including a chapter entitled, "What I Told the Bishops." Perhaps the most moving part of her book is her account of the 9/11 attack and its aftermath, from her vantage point as a New York resident, and the effect of this experience on her own life. Of course, she offers her opinion on President Barack Obama and the various other presidents she has either observed from afar or viewed up close, including Richard Nixon. And a sizable portion of her book concerns President Ronald Reagan — who clearly is her hero — and her experience writing speeches for him. After a lengthy spell at the Reagan White House and a stint with George Herbert Walker Bush (do "a thousand points of light" and "Read my lips: No new taxes" ring a bell? ), Noonan made her way to The Wall Street Journal, where she has crafted astute and beautifully written opinion pieces for many years, while writing books and doing political commentary. Perhaps I can finish by describing a few of her writings to better convey why I believe she is the best Catholic woman writer in the United States, and certainly one of the most influential. In an article entitled "Cardinal, Please Spare This Church!" she movingly describes her Manhattan parish church, St. Thomas More, painting a picture intended to persuade readers in general and the Archdiocese of New York in particular why it should not make the list of churches whose doors the archdiocese is closing. Noonan conveys her sadness and that of many longtime parishioners at losing this beautiful church and distinctive parish. If you have not read any of Noonan's earlier books and want to sample more of her after this one, I particularly recommend her book John Paul the Great: Remembering a Spiritual Father. There, as in all her work, she demonstrates her special gift for imaginatively entering into the mind and spirit of those she observes and selecting the telling detail that will convey the essence of that person to those of us seeing him or her with her eyes. Rev. John McCloskey is an author and syndicated columnist.